I have known about a hum at higher volume levels with my tubed preamp but didn't think much of it until I tried another phono pre(ss) and realized the hum went away. Swapped tubes but it's still there. So I guess my tubed pre is the culprit. Another trip back to the shop? It's always worth trying the usual suspects. If you don't have a ground 'twixt tt & preamp, try one. If you do have one, try removing it. If you have a nonpolarized two prong AC mains plug on the phono preamp, flip it over in the mains socket. If your phono preamp AC mains cord has a three-wire plug, use a 3 prong to two prong adaptor (without grounding the center conductor) to 'lift' the ground. Got a ground wire, removed is worse. It is a 2 prong plug from tt and flipping it did actually reduce the hum about 50%...why? Bob - curious, do you know what else you have running on that circuit? Any wifi devices nearby? I was told that close proximity wifi devices can cause problems with some tubed stuff. Which phono pre is it that you're working with? If you switch to the new atmospheric tubes, I believe your hum will be fixed. Hope you find the culprit soon! Our wifi is about 20' away from the rig...never gave that a thought. I think we have a freezer, computer and a small bar fridge on the same circuit. What I don't understand is why flipping the plug made such a difference. Also, the other outs of the pre(cd, aux, etc) are dead silent. The ss pre I'm also playing with at the time is the one Skip has loaned out...Vista Audio Phone 2. Spent some time with it playing last night and a really good flexible unit. Will try shutting down the wifi later to see if any difference. I'm curious to see if you can get it sorted and what the offender turns out to be. Maybe try unplugging each of those other appliances/devices one at a time to see any makes a significant difference? Wondering whether each, cumulatively, could be contributing to the hum. I, too, having very little electrical/electronics knowledge, am wondering why/how flipping the plug makes a difference. Simple polarity change? So -- grounding is (like many things in this hobby) both art and science, I think. Off the top of my head (and I am far from expert on electronics in general and on this topic in particular), there are a couple of basic concepts to consider here. 1) there is a power supply in (or near) your phono preamp. Its job is to convert 117V (give or take) alternating current at 60 Hz to DC at various voltages to power the preamp circuitry. This is typically done with a transformer (to step the line voltage up or down as needed) followed by a filtering network to smooth the final DC to look like the pure DC from a battery. The resulting AC from the transformer is still AC (an alternating current is, in essence, an audio signal, a low hum). AC is often used on tube filaments (although in a high gain circuit like a phono preamp, it's a "best practice" to use DC to heat the filaments to reduce... you guessed it... noise and hum). In a traditional "linear" power supply, the other (DC) voltages required for a tube circuit are rectified to pulsating DC, and then those pulsations are removed by a filter network using capacitors and/or inductors to smooth the rectified, pusling DC to a "nearly" perfect DC. Any residual pulse ("ripple") in the resulting DC may be amplified and reproduced by an amplifier as hum. A high-gain circuit like a phono preamp will "make the most" of any residual hum from the power supply; you may hear it! 2)That 60 Hz AC is everywhere in our environment. Any imperfectly grounded or shielded electrical circuit (wiring) runs the risk of acting as an antenna to pick up the AC signal from the grid and the wiring in one's home. This induced AC is what causes that horrific buzz if the ground is 'broken' by partially removing an unbalanced (RCA) interconnect from its socket. Oy! When hum is not coming from a mediocre power supply, it is often due to ground loops. It is possible (easy!) to ground things together in such a way that they are not at absolute ground potential. They "float" relative to the true ground of the -- umm -- ground (the Earth). When this is the case, a small current can flow. The audible effect of this -- you guessed it -- a low hum. Maybe a loud hum, depending on the circuit. Ground loops are the bane of sound reinforcement technicians and roadies! There are purpose-built boxes for lifting grounds. Another tool for sussing out ground loops is --- a bag full of clip leads Just start clipping components (chassis, e.g.) together and listen for the hum to mitigate. Fortunately, the transformers in the power supplies of most of our toys isolates the chassis and the user from the AC mains. The power supply in any audio component has a fair amount of AC associated with it; sometimes moving one component relative to another can reduce induced hum. 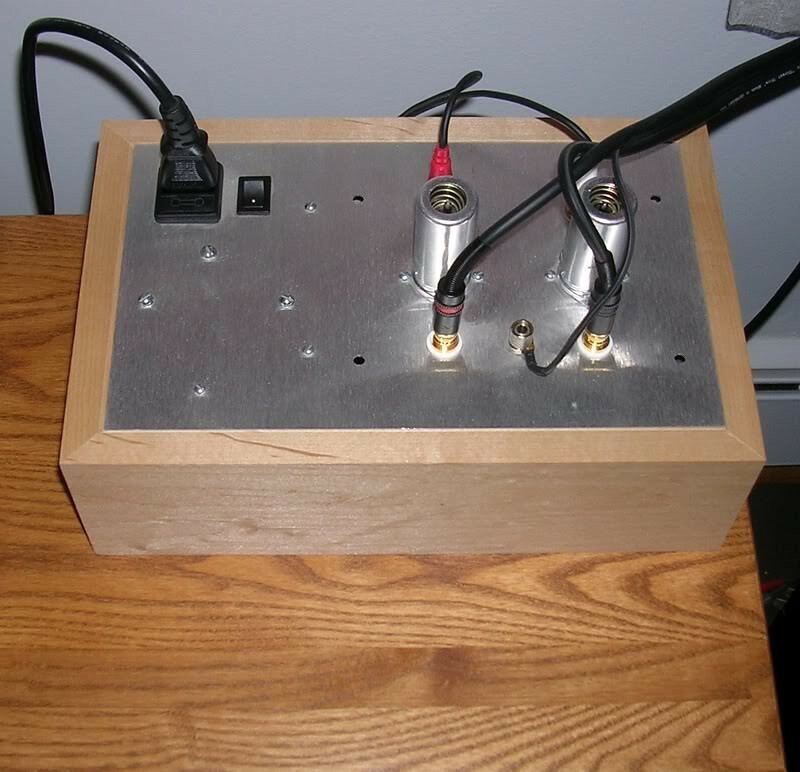 Is the power supply for your phono preamp built into it, or is it external to it? If the latter, try turning your preamp 90 degrees relative to its power supply, or moving it further away. If the preamp is near any other power supplies, try moving it further from the other component(s) and/or reorienting it at right angles (three ways to do that in 3D space!) and see if the hum can be "tuned" to higher or lower levels. Just a thought, but I heard a slight higher pitched hum with my tube pre a few times and it turned out to be my cell phone. I switched to airplane mode and it went away. This is with having the phone within 5' of the pre, closer to the pre it made it worse. Are all your components plugged into the same circuit in your house? I have had issues with hum when plugged into different outlets which went to different circuits in the house. Are any fluorescent or LED lights located near your interconnects or plugged into the same circuit? The fluorescent lights and LED lamp switching power supplies can cause hum. Also wondering, is there any power management/distribution device in use? Curious are the other phono preamps solid state or tubed? The atmospheric tubes were developed for use on the international space station (ISS). ahem. OK, enough of that. Back on topic: I did just want to reinforce the comments about RFI/EMI (cell phones,computer processors, LED/CFL lamps, and whatnot) in terms of the nasty interference effects they cause. We live today in a horrifically polluted environment in terms of radio frequency "hash". Any analog electronic circuits could pick up and "detect" the noise (or "beat" with it - so-called heterodyne - to produce noise in the audio frequency domain) indeed. The resulting amplified noise, IME (IMO?) has a different character than 60 Hz or 120 Hz "hum". The hum is usually pure sinusoidal, whereas the EMI kinds of noise are more complicated waveforms (that sound different than pure hum). Not to say that the OP's problems couldn't be from cell phones, WiFi, cordless phones (remember those? We still use 'em! ), LED/CFL, etc... but IMO that kind of noise sounds a bit different. The comments about noise on the AC circuit are also good information to consider. Fortunately, many of the things folks have suggested are testable. Please keep us posted on your progress muncybob. To answer a few questions...the regulated power supply is internal. I have tried removing other possible culprits from the circuit(freezer, wifi) and no change. All components are indeed on the same circuit. Actually they are all plugged into the same power strip(the make/model escapes me at the moment but it's not just a $10 power strip). While there are lights nearby it still hums when they are not on. I'll try moving the pre away from other components and will try plugging directly into the wall. Don't own a cell phone(gasp!) so that's not it. As mentioned, the other phono pre that does not hum is ss. While it really bugs me that there is a hum, fortunately it does not take away from the music since I would really need to be craking the volume for that to happen. Think that would make a difference even though not on the same circuit and nowhere near the pre? Anything's possible -- although the radiated signal drops off rapidly with distance, so if it is very low power it needs to be pretty close in space to the antenna (which, in this case, could be your phono preamp!) to induce some noise. This said, another notorious noise problem in hifi is (are) big power consumers in your home, even when not on the same circuit as your components: chest freezer, refrigerator (anything with a compressor), maybe even a well pump or washing machine or dryer. Again, these are testable, and they should only induce noise when they're running! My gut feeling is that your hum -- since you describe it as such -- is power-supply related or due to the high gain. 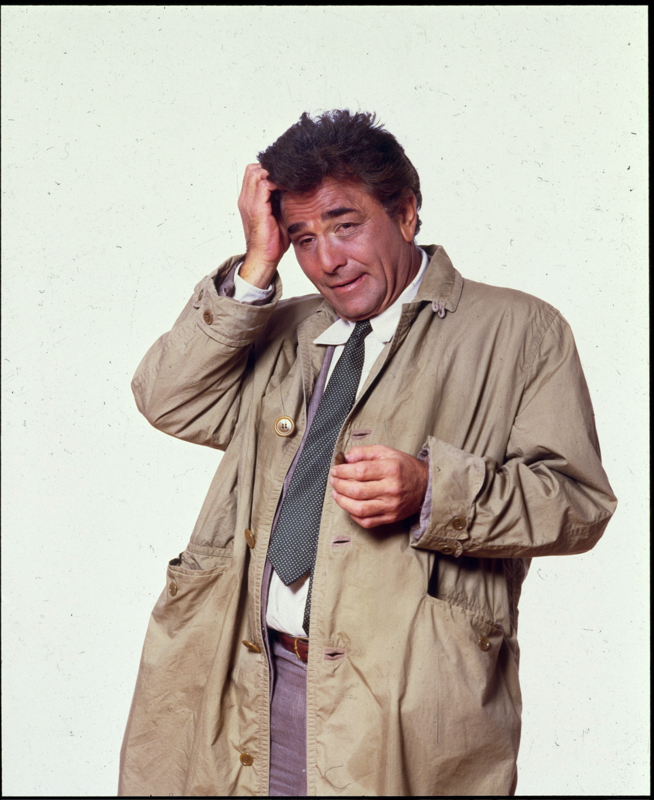 Oh, (as Lt. Columbo would say) one more thing. The high-gain tubes in your phono preamp are shielded, yes? Nope, none of my tubes are shielded. You must keep in mind that I'm a fairly new tube user and still getting my learn on. Phono stage takes 4 tubes(2 12ax7 and 2 6dj8). Do all need shield...should the line stage tubes be shielded also? So another thought/question. Since I've been rolling tubes a lot lately I've been running the pre w/o the metal cover installed. Since it has a lot of ventilation holes I doubt that would make any difference? My two cents: try adding a second ground wire that connects your phono preamp to the back of your power amp, power conditioner, anything. I have to do that with my current setup - turntable ground wire and another separate ground wire from phono preamp, both attached to my power conditioner underneath a chassis screw. Yes indeedily do! Thus my earlier "bag of clipleads" suggestion (not to be confused with "binders full of women"...). As to shields -- if the manufacturer didn't include them, he/they may not have felt them necessary. One would need to see the schematic (or trace out the circuit) to see which tubes are being used to derive the gain. Both the 12AX7 and 6922 are high-amplification factor twin triodes (and quite sensitive to perturbation). Some are quieter than others, too... I am guessing you know about that(?) if you've been hanging around here (there are some pretty rabid "tube rollers" among the Polk Folk). I had an interesting conversation with Robert from lounge audio a while ago, we exchanged several emails back and forth. He was explaining to me how some tube phono preamps, depending on their design, it is almost impossible to eliminate the low level mc hum, especially if a 12AX7 is used, Due to the tubes being within a close proximity of the power supplies in the pre amp and step up transformers. This is also why a lot of more expensive tubed phono pres use external power supplies. I think it’s worth it to add grounds as others have mentioned, but you may not be able to completely eliminate the hum. Can you hear this hum while music is playing? Or only when the needle is off the record and the volume cranked? The hum was only present w/o playing anything or if I really have it crnaked during a quiet passage. Notice the bold "was"...2nd ground wire has all but eliminated the noise! First I tried to ground to the power amp....no difference. So I then tried my cd player and now the deep hum is gone. I do get a faint buzz cranked at about 1 o'clock but it's only audible if nothing is playing. I really doubt I'll ever play music that loud anyways. but it is also (very) possible that the hum is present if the tone arm is "up" and not when it is "down" (if there's a mute microswitch in the arm). The CD player comment is (well, may be) interesting. Does your CD player have a "hard" power off or is does it go into a standby mode? My experience with noise from CDPs isn't too bad (FWIW), but the DVD player decks here produce atrocious levels of RFI. All this being said, if you're happy, we're happy. Well, I called it a cd player but it's an Oppo bdp93. It works when the player is off. I notice when it's on that when the Oppo goes through it's start up you hear a clicking sound. I think it's a hard off(since it takes so long to start up)? Won't make a difference to me though as I doubt I'll ever have it on when spinning vinyl. It might make a difference if it is only 'asleep'. If you get bored some time, try unplugging the player from the AC mains and see if it changes the noise signature on your phono preamp any. So we have the turntable ground to phono preamp ground lug, and then phono preamp ground lug out to another piece of gear, the BDP in this case? Interesting. How does this work to redice/eliminate hum? As for the multi ground link, it's possible that it's allowing the 3 pieces to reach the same potential, therefore eliminating any current flow between units and the hum as well. Yes, it is as the boy says. Connecting the grounds breaks the "loop" and gets everything to the same (ground) potential. I had to do the exact same thing to my phono pre. TT ground to the phono pre, and an additional ground wire from the PP to a ground on my integrated. Being the integrated has a built in phono pre I used the PP ground. Totally eliminated any hum, or made it undetectable.